Autumn in the Avalon Marshes brings a change as summer greens give way to autumn and winter yellows and browns. The sky also changes as dark clouds begin to form above fields, woodlands and reedbeds. But these are no ordinary clouds, they are huge flocks of starlings on the move; the starling murmurations. 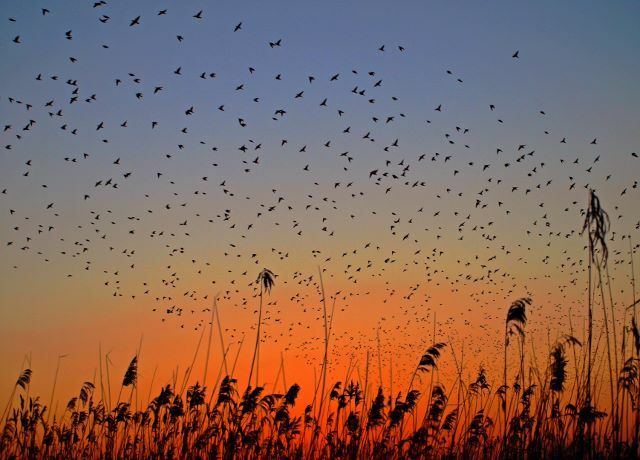 They use the reedbeds of the Avalon Marshes as a safe and warm night time roost. Before the birds settle they often come together in huge clouds, wheeling, turning and swooping in unison. This is known as a ‘murmuration’. 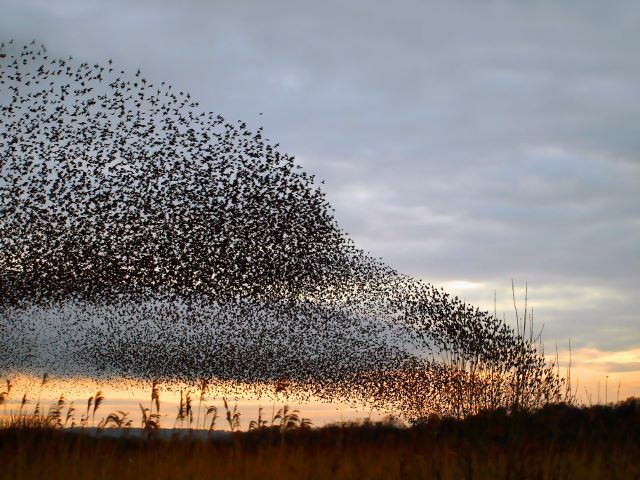 Birds of prey try to pick off individual starlings often causing the murmuration to pack even tighter and form even more spectacular shapes. 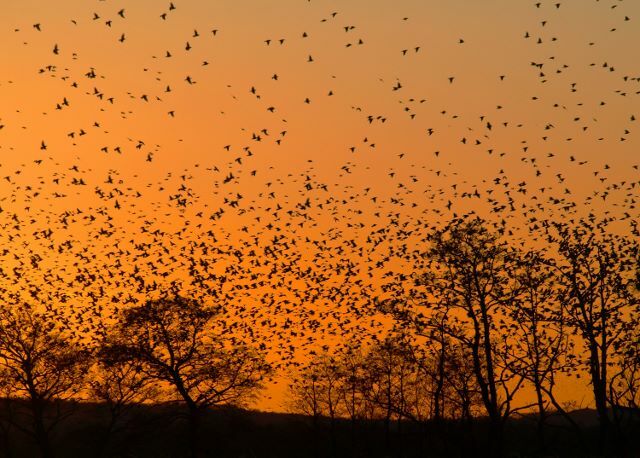 Over the last couple of years the starlings have mainly roosted on Natural England’s Shapwick Heath reserve or RSPB’s Ham Wall reserve. The way to find out where they roosted the night before is by calling the Starling Hotline on 07866 554142. But be warned! This is where they roosted the night before not where they are going to roost the night you go. The best thing to do is arrive early and ask the regular watchers. There are two car parks at Ashcott Corner giving access to Ham Wall and Shapwick Heath. Please note – parking charges apply. 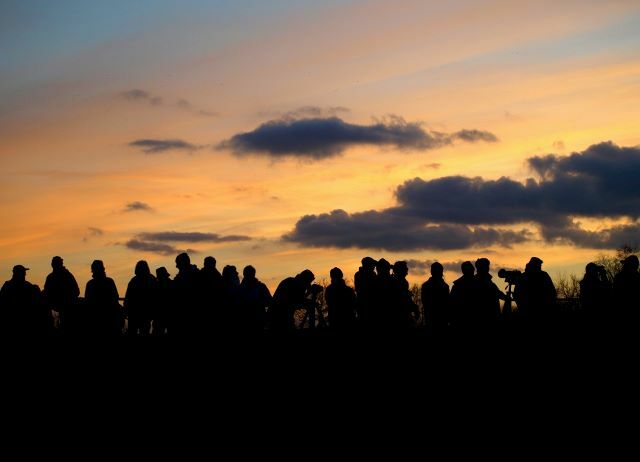 RSPB members can park for free at the Ham Wall car park, holders of a Natural England permit for free at the Shapwick Heath car park, and blue badge holders for free at both. There is also a free car park at the Avalon Marshes Centre but this is a considerable distance from where the starlings normally roost. At weekends parking can be at a premium so come during the week if you can and arrive early. Whenever you come, please do not park on verges, block gateways or restrict access for emergency vehicles. 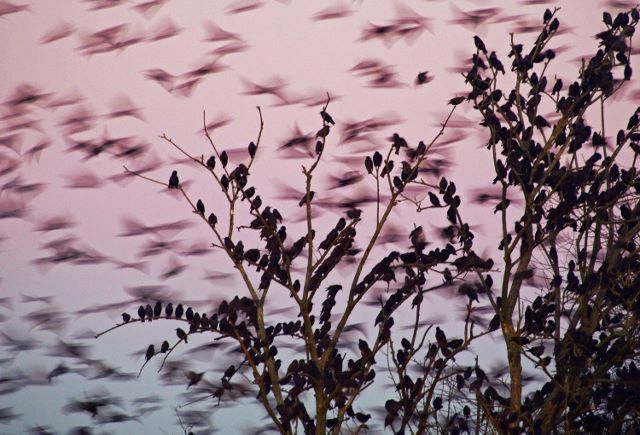 As the weather starts getting colder, the starlings start to arrive. This is usually from early November and they stay until late February / early March, again the weather tends to hold the key to their departure. The time to see them is just before dusk. It is best to arrive at least an hour before so that you can park, ask around, watch to see them begin to arrive and hopefully work out where there final roost is going to be (they often pre-roost in the fields and trees around the reedbeds)! Dawn can also be a good time to see them as they “come to life” and start to leave. • Warm clothing, it can get very cold out on the marshes as the winter sun sets. • A torch to find your way back to your car. • Come back to the Avalon Marshes again at other times of day and during other seasons, there is lots to see and do all year round. 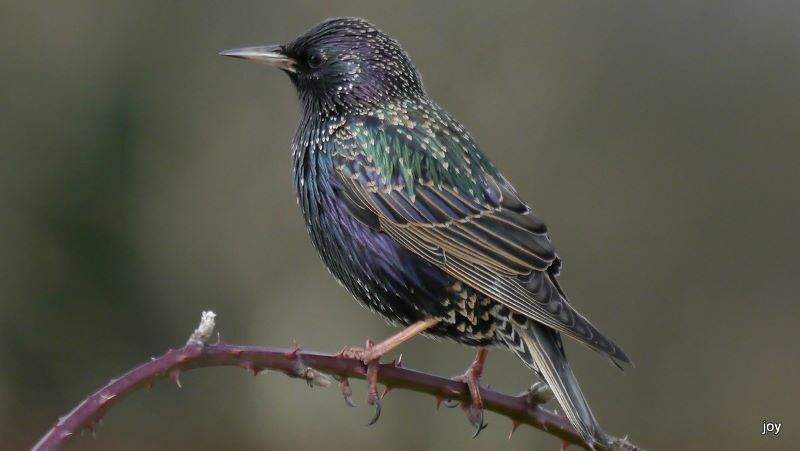 A special thank you to Lynne Newton for use of the wonderful starling photographs. If you would like to see more please go to her website – www.lynnenewtonfoxybiddy.zenfolio.com. Thanks also to Joy Russell who took the starling close up and has let us use many other photographs for this website.